Christina has almost 20 years of experience performing all facets of the construction cost estimating process. She began her career at Brantley Construction in 1995 and has advanced to the position she holds today. As the chief estimator, she currently assists the Team Brantley in early budget development and provides budget updates as the design is refined through the schematic design, design development, and final construction document stages. Christina is responsible for preconstruction services for the company. She has submitted bids in value of $100,000 to over $30 million. Her duties include searching, tracking and preparing bids for Team Brantley, soliciting bids from subcontractors and suppliers that provide good construction practices and quality products, coordinating the quantity take off and pricing of bid documents, and assembling all quotes on bid day for submission to owners. 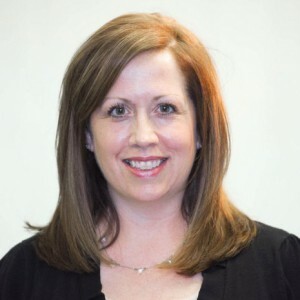 She also oversees the preparation of qualification packages (RFQ’s) and technical proposals (RFP’s) consisting of past performance information, and corporate experience to owners. She is responsible for implementing the corporate subcontracting plan, encouraging participation and tracking of small and small disadvantaged businesses including minority, HUBzone, women-owned, 8(a) and service-disabled veteran-owned small businesses. In 2007, Christina became a LEED Accredited Professional and in 2009 obtained her Specialty in Building Design and Construction designation. As a LEED AP BD+C, she is responsible for coordinating LEED documents and assisting the project managers and superintendents in implementing LEED credits in the field. The Clemson University Baruch Institute office building, completed in 2010 was Brantley’s first LEED Gold Certified Building. Christina enjoys fishing, biking and hiking.